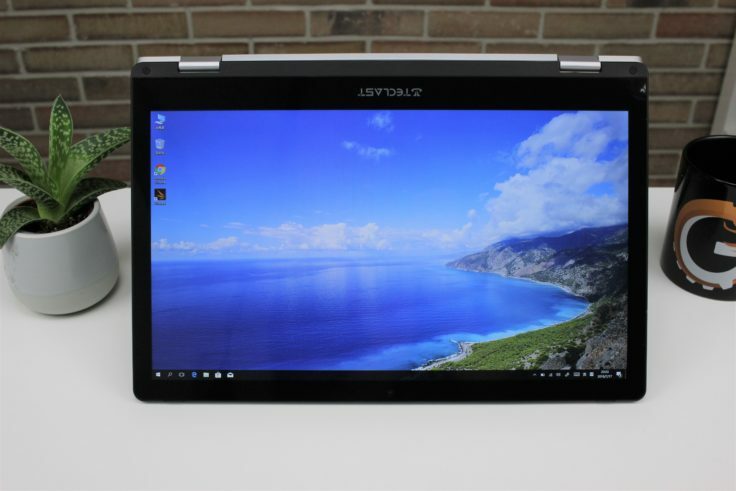 The Teclast F6 Pro is a convertible notebook that is strongly reminiscent of the Lenovo Yoga series. This has made the foldable screen famous. 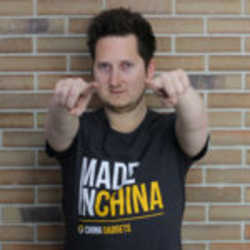 The clone from China shines with solid middle-class hardware and good workmanship – a serious alternative? 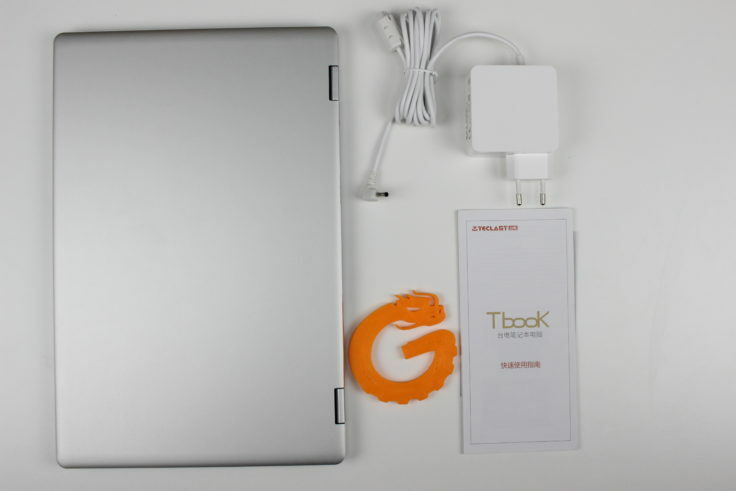 Like the Teclast F7, the Teclast F6 Pro arrived in a white/orange branded package. On the long journey from China to Germany the cardboard had to absorb some falls and is a little bit pressed in at the corners. Apart from that, everything is fine so far and the contents were not damaged. 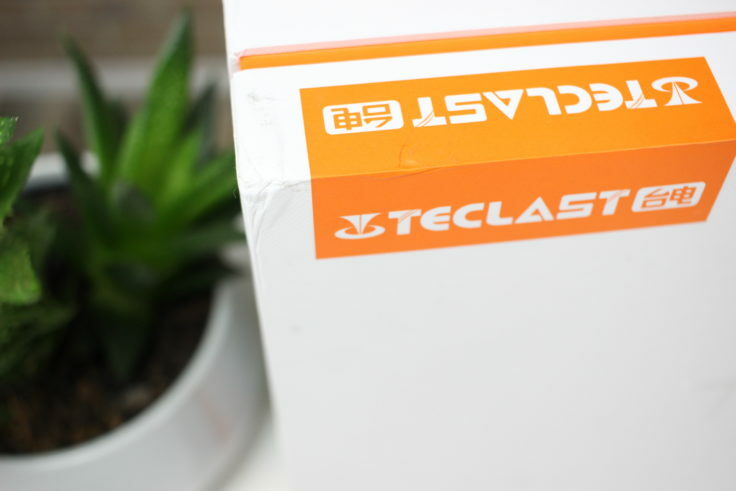 Inside the carton is the Teclast F6 Pro itself, a charging cable with EU plug and CE mark and a manual in Chinese included. 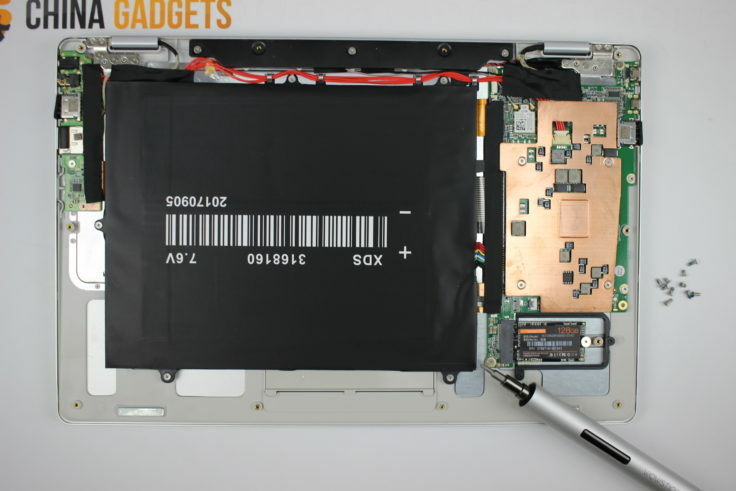 The power supply is identical to the one of the Teclast F7 and is about two meters long, relatively short for a laptop charging cable. Unfortunately, it is not possible to use a small C7 connector to extend the cable. This is for example possible with the CHUWI LapBooks. Unfortunately the notebook is not recharged with a common USB-C plug. 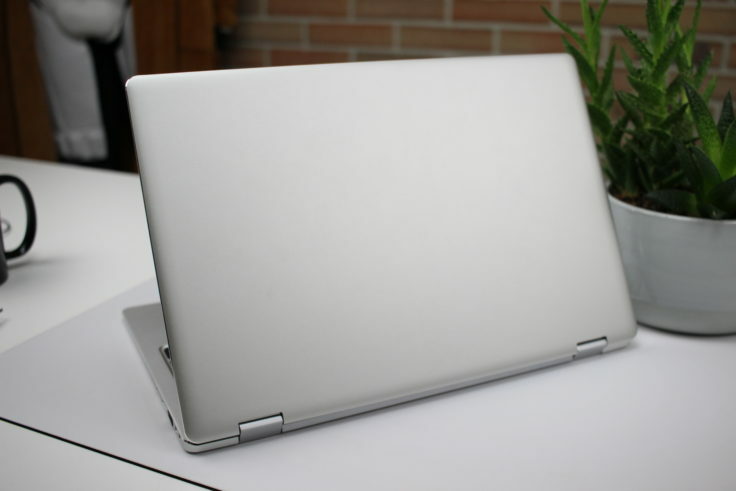 Like the larger Teclast F7 or Jumper EZBook X4, the Teclast F6 Pro is equipped with an aluminium unibody. It makes a good impression on me because it is less susceptible to scratches than the Jumper EZBook X4. At first glance, the Teclast F6 Pro doesn’t look like it’s many possible uses, it looks like a completely ordinary notebook. 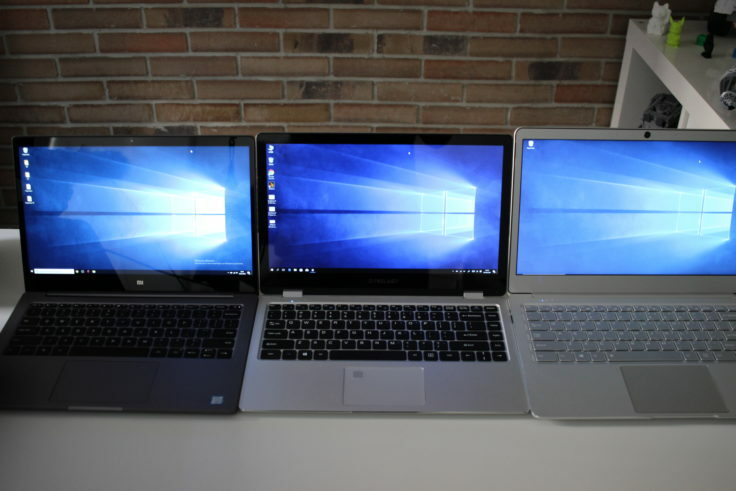 Although the laptop only has a 13.3 inch display, with its dimensions of 31.50 x 20.85 x 1.50 cm and a weight of 1.36 kg it is approximately as big and heavy as the 14 inch budget notebooks. The silver case is mostly “clean”, Teclast again refrains from immortalizing its own logo clearly visible on the back of the display. On the other hand, the logo and product name are found on the underside, which is correspondingly less visible. A CE marking can also be found on the underside. Four rubber feet on the underside ensure a non-slip stand. They are unusually flat so that the notebook can be folded down completely. It remains to be seen whether there is an unnecessary heat build-up between the underside of the notebook and the stand base. The hinges of the Teclast F6 Pro are not as smooth as those of the Xiaomi notebooks, for example, but they make a very stable impression! For those whose fingernails are not long enough to fix the underside of the convertible laptop, it is hardly possible to open the Teclast F6 Pro while it is lying on the table. 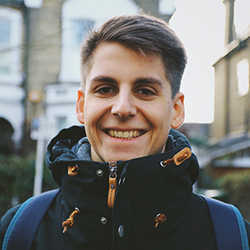 The existing notch in the middle of the underside is no real help. It is much too narrow and no big help during opening. 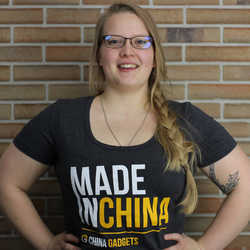 Once the first two centimeters have been opened, however, the screen can be folded down completely, offering a wide range of uses as a notebook or tablet with stand. A certain similarity to Apple’s MacBook cannot be denied by this China notebook either. The keyboard is in characteristic black and the display frame is also colored in black. The silver aluminium body makes the overall picture perfect. All in all, it is well processed. The aluminium unibody has a high-quality feel and the openings are neatly milled out. Even though the hinges are unfortunately too stiff, especially when it is still completely closed, the folding mechanism itself makes a solid impression. 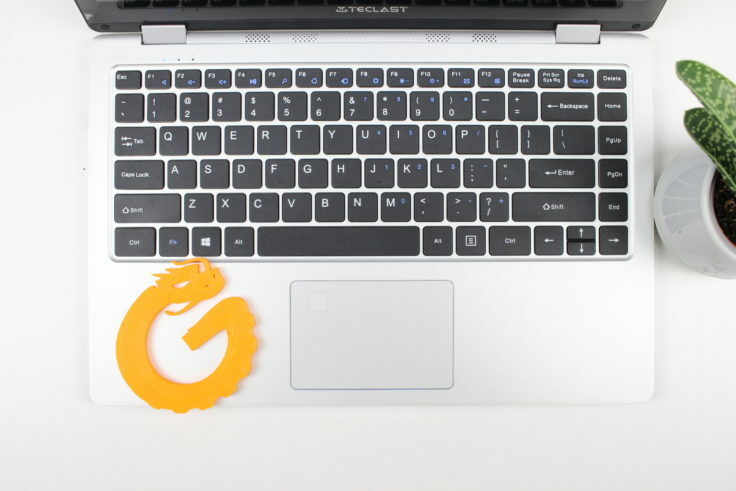 During a 360° rotation nothing rattles at all with this laptop – wonderful! The keyboard is basically the same as on the Teclast F7. The keys are about 1 mm high and still have a solid pressure point. There is, however, one difference: while the on/off button of the Teclast F7 Apple-like represents the button at the top right, this is the del. button of the Teclast F6 Pro. The on/off button is located on the short right side of the case. 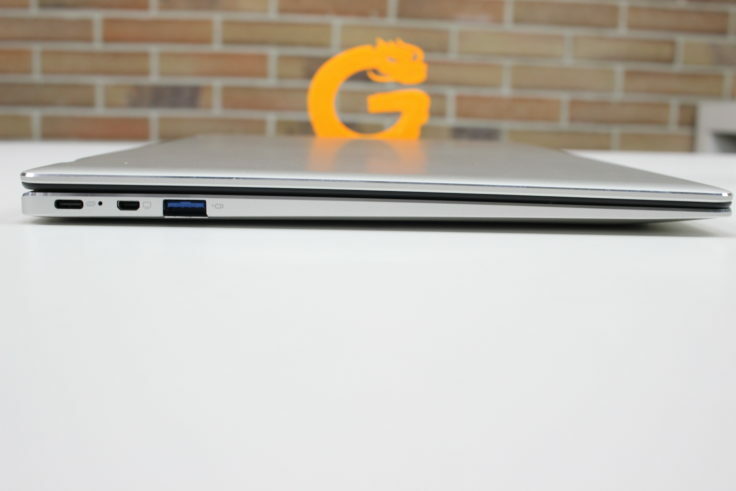 Since the CHUWI LapBook Air and the Jumper EZBook X4, key lighting has been used in more and more budget notebooks, unfortunately not this one yet. On the other hand, the contrast between key color and key labeling is better than with illuminated keyboards in the budget range. The touchpad is smaller with the dimensions 9 x 6 cm, but in my opinion it is big enough to navigate on the way with it. Unusual is the built-in fingerprint sensor, which is quite large with the dimensions 1 x 1 cm. The sensor is configured as usual in the Windows settings under login options and works reliably in the test. 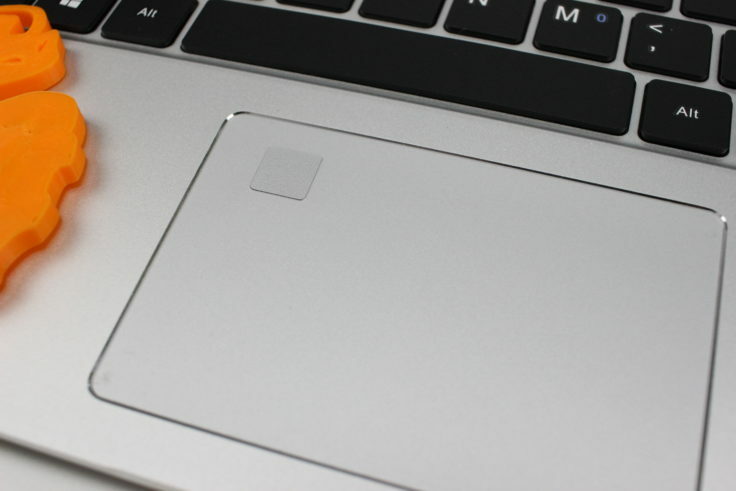 Due to its size, the fingerprint sensor unfortunately influences the mouse movement, as the mouse cannot be moved in this area. Xiaomi solved this better with the narrower sensor, but on the other hand the sensor didn’t get in my way in everyday use because of its position when moving the mouse. 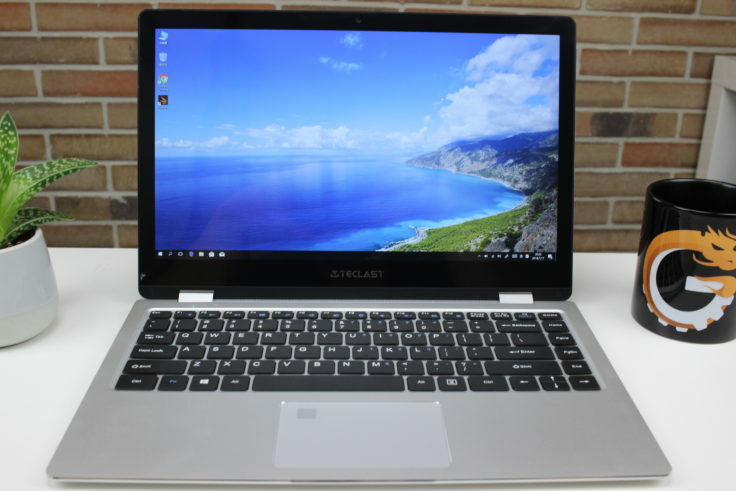 The Teclast F6 has a solid hardware, which in comparison is roughly at the level of the 2017 version of the Xiaomi Mi Notebook Air 12.5″. Only the RAM with 8 GB is twice as large as that of the Xiaomi notebook. 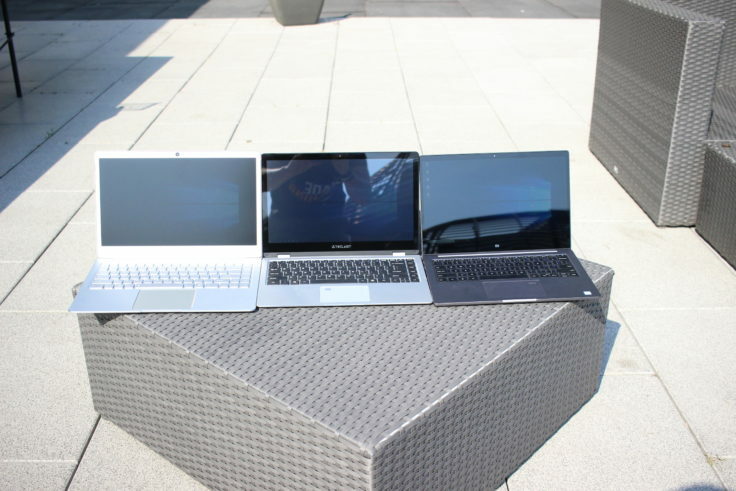 The m3-7y30 belongs to Intel’s 7th notebook processor generation, which has already been replaced by the 8th generation. 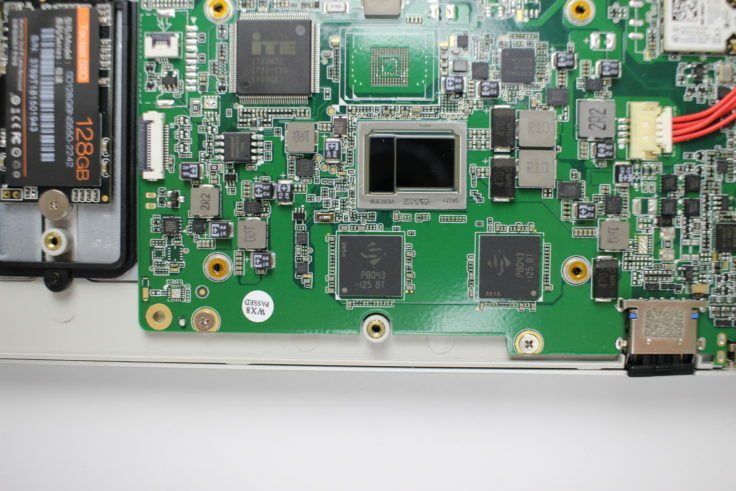 However, the m3-7y30 processor is still frequently used in mid-range notebooks and can also be found in some devices in the electrical market “around the corner”. Here, as in the Xiaomi notebook, it is passively cooled by a copper plate. As you can see on the picture, the RAM is soldered on two chips with 4 GB each, fixed on the motherboard. An expansion or the exchange of the main memory is unfortunately not possible. 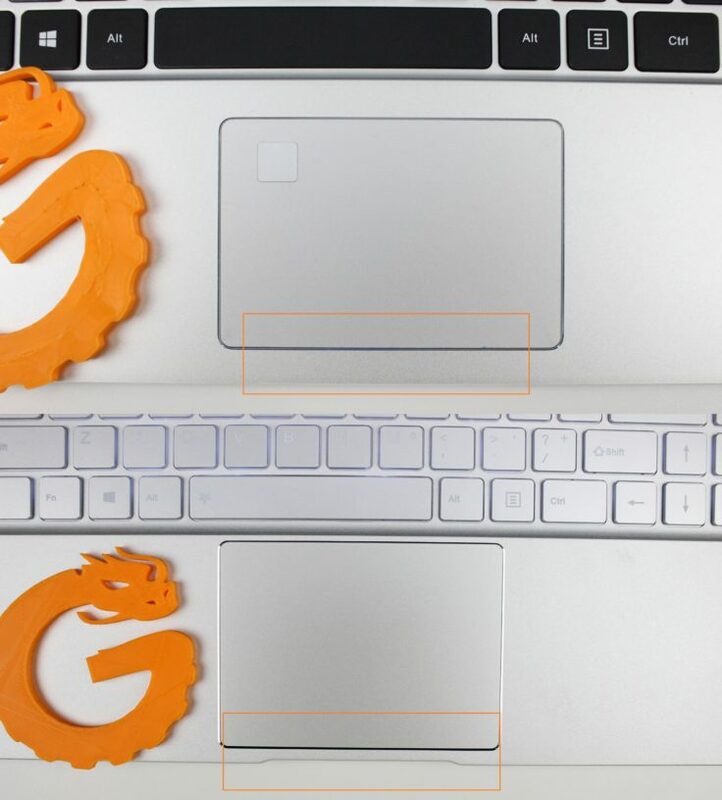 In the comparison Jumper EZBook X4, the Teclast F6 Pro only offers space for a 42 mm or 60 mm M.2 SSD, a longer module with a length of 80 mm does not fit here. Only one screw has to be loosened to change the memory. Working and surfing is no problem with the hardware, that’s how it should be with the Teclast F6 Pro. But the latest games are not included; if you are looking for a notebook with which you can also play games, you should rather take a look at the Xiaomi Mi Notebook Pro. Overall, the benchmark tests turned out as expected. Better than the results of the systems equipped with Intel Celeron N3540 or the newer N4100, but of course worse than the 13.3 inch versions of the Xiaomi Mi Notebook Air. 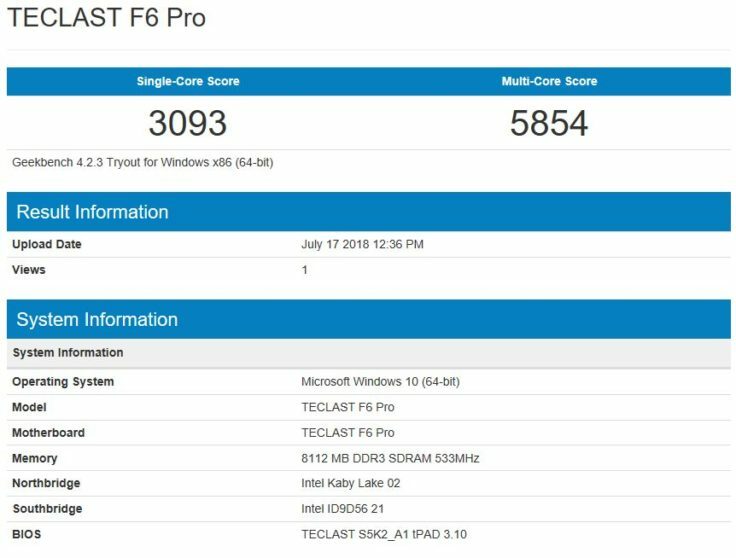 In the Geekbench 4 CPU test, the Teclast F6 Pro achieved a score of 3093 in single-core and 5854 in multi-core. 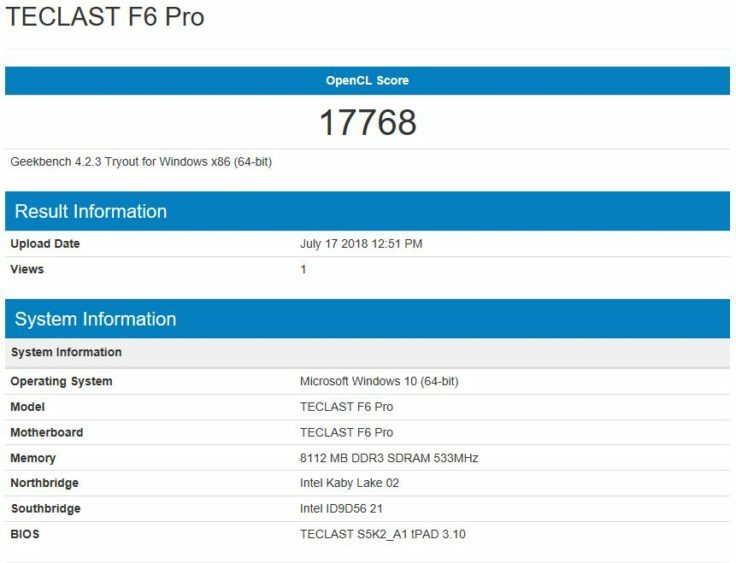 The Geekbench 4 graphics test with the Intel HD Graphics 615 gave a score of 17768. The results are in the solid midfield, between Teclast F7 and Xiaomi Mi Notebook Air 2018. 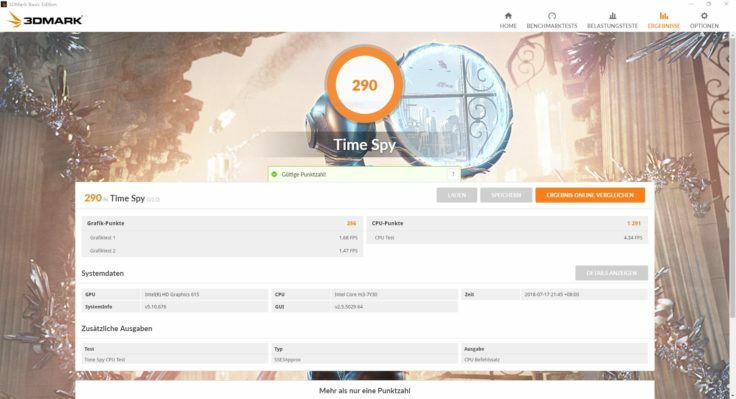 In the 3DMark graphics test, the convertible notebook achieved a score of 290 points. Compared to the Teclast F7 with only 109 points, this is a good value. 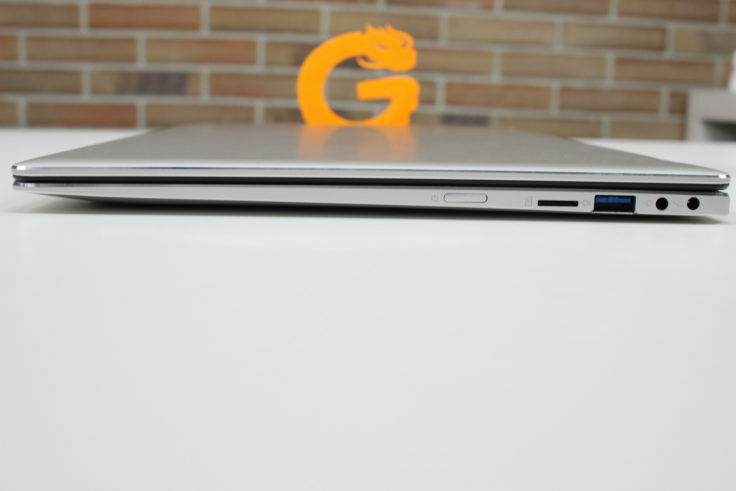 Compared to the Xiaomi Mi Notebook Air 2018 with 941 points thanks to the GeForce MX150 graphics card, the on-board graphics unit of the Teclast F6 Pro looks old. During the tests much on that the underside of the convertible notebook gets pretty hot. This was also noticeable in the benchmark tests; unfortunately, the performance decreased with the length of the load. 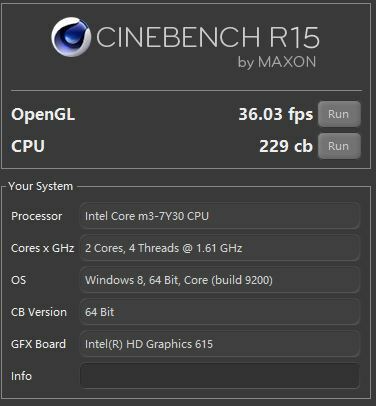 The Cinebench R15 rendering test was particularly noticeable. When repeatedly passing the rendering test, the score dropped from 229 to 160 points at the beginning – unfortunately, the cooling of the Teclast F6 Pro fails here. Overall, the test results are solid. The Teclast F6 Pro performs significantly better than the budget notebooks with Intel Celeron N3450 or N4100 processor from CHUWI, Jumper or Teclast itself. 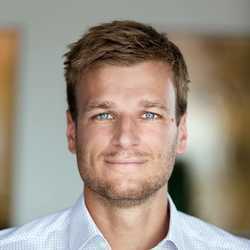 The performance is sufficient for smooth multitasking on several screens at the same time, classic games like Roller Coaster 3 or Half-Life 2 and of course for everyday surfing in the net. 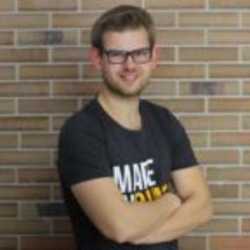 Photo editing is only possible with low complexity (few layers). 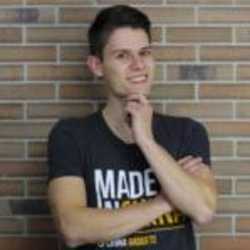 If you want to edit videos you should rather use the Xiaomi Mi Notebook Air 2018. 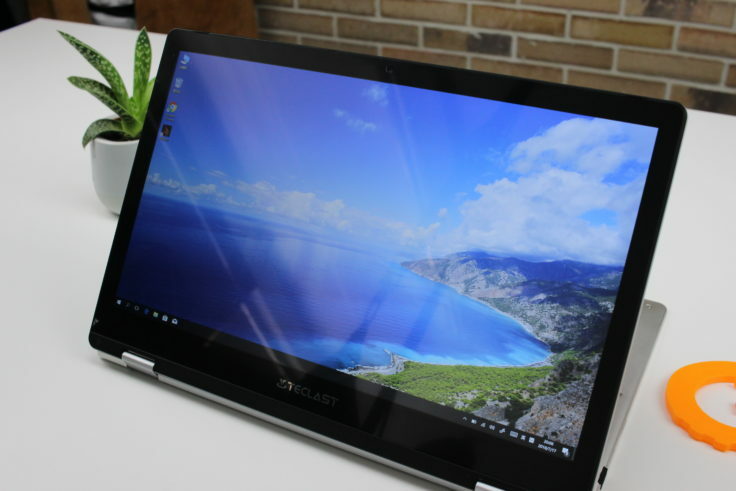 With the display, Teclast further distinguishes the F6 Pro from the cheapest budget notebooks. No cheap TN panel was used here, but a high-quality, laminated IPS panel that resolves with 1920 x 1080 pixels (Full HD). I liked it well in the test and it differs only slightly from Xiaomi’s IPS panels. In comparison, the Teclast F6 Pro offers slightly better black values than the Xiaomi Mi Notebook Air 2018. But the colors on the Xiaomi’s panel are slightly brighter. Which is the better one remains a matter of taste in my opinion, both are equally susceptible to mirror effects. While the Teclast has a good viewing angle stability, this is significantly lower with the matt, non-laminated TN panel of the Jumper EZBook X4. Also the black values are visibly worse. Working or surfing with the Teclast F6 Pro is unfortunately made more difficult by strong reflections in the display. However, this is a general problem of laminated IPS panels and applies equally to the Xiaomi notebook. Funnily enough, the cheapest display is best readable due to the fact that it is matt. The touchscreen worked quite reliably in the test. Unfortunately we didn’t get the corresponding stylus pen. So far we could only test the reaction and accuracy of the touch screen with our hands. Thanks to the Windows screen keyboard, the Teclast F6 Pro is also very easy to operate with the hands in tablet mode. Whether it gets even better with a stylus pen remains to be seen. With a capacity of 5000 mAh, the battery has an average size, but compared to the Xiaomi Mi Notebook Air 12.5″, it is significantly smaller and doesn’t support Fast Charge. During the test, it lasted about 5-6 hours at 50% brightness under normal use. With full brightness and complex applications, however, the battery life quickly shrinks to 3-4 hours. With the highest energy-saving measures, we were able to get a battery life of 7.5 hours out of office applications and normal surfing in the test. 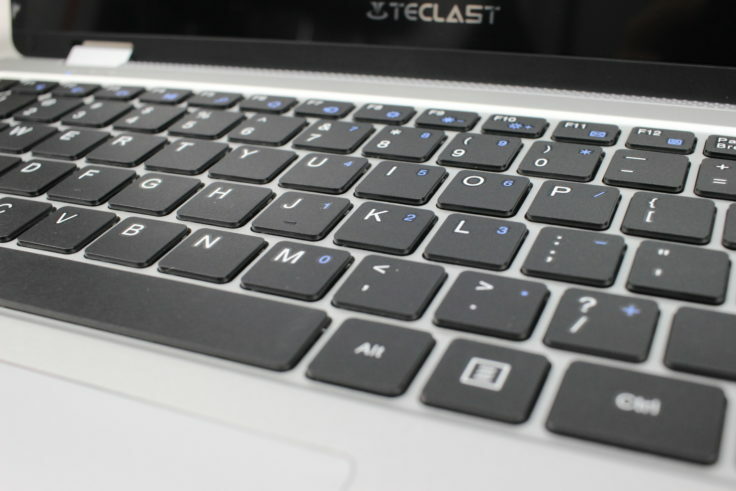 The connectors of the Teclast F6 Pro include two USB-A 3.0 interfaces, a USB-C 3.1 interface, a microSD slot, a jack input, a micro-HDMI port, and the DC charging connector. On the left side are the USB-C 3.1 slot, Micro-HDMI port and a USB-A 3.0 interface. According to this there is another USB-A3.0 port on the right side, a jack input, microSD slot and charging connector. 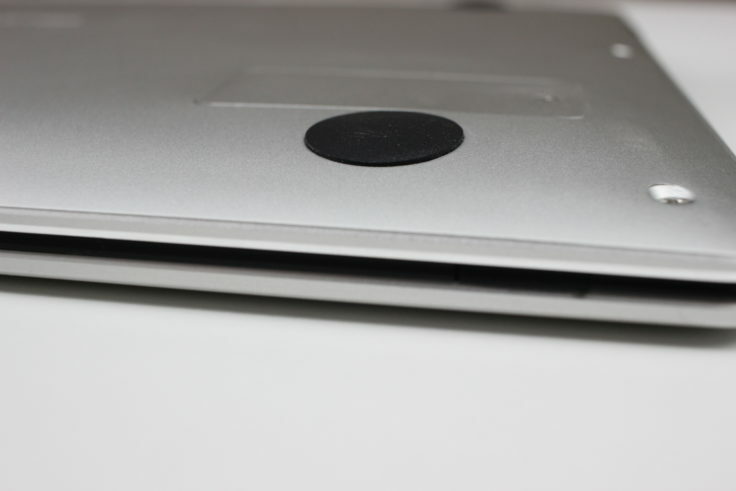 In addition, the on/off button of the convertible laptop is located here. Unfortunately another manufacturer that uses Micro-HDMI ports. 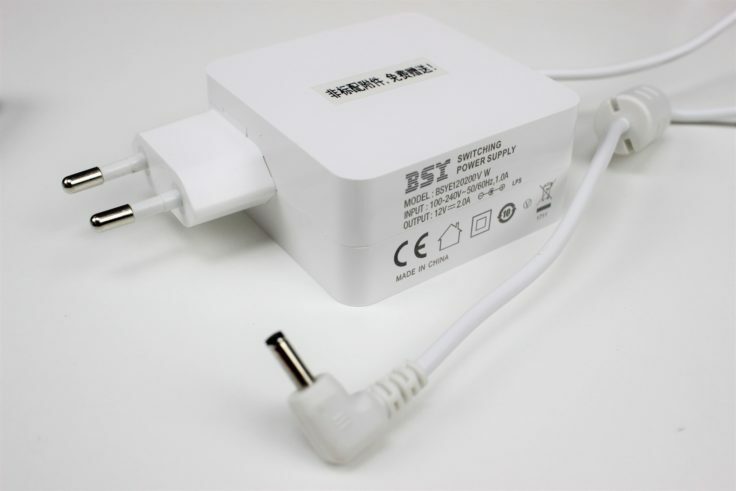 An adapter is absolutely necessary to connect a second screen. 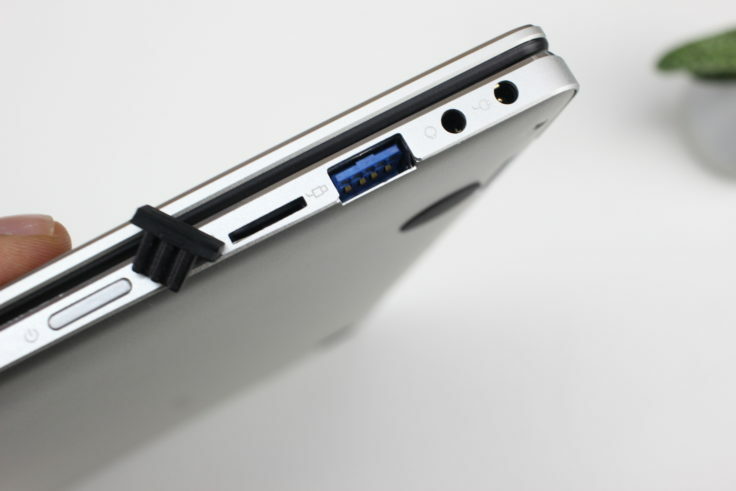 Like the F7, the USB ports are equipped with protective caps. 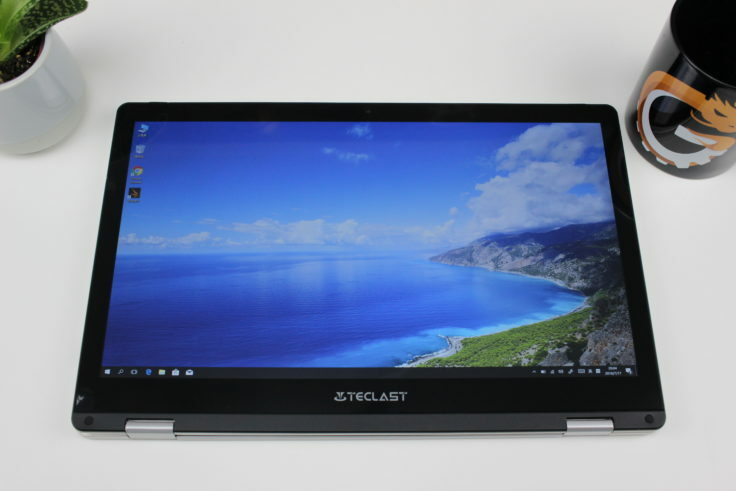 Teclast relies on solid middle-class hardware for the F6 Pro, which I like very much. 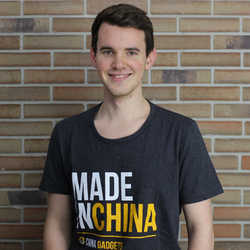 Many Chinese manufacturers unfortunately use cheap or outdated hardware. Working with Microsoft Office, streaming HD content, multitasking on multiple screens, and gaming smaller or older games is no problem. The display surprised me in the test, the high-quality IPS panel convinced me with good black values and solid viewing angle stability. Unfortunately, like all laminated IPS panels, it reflects quite strongly, which makes it difficult to see in the sun. The touch screen works satisfactorily, at least in manual mode. You hit the icons you want to hit and can operate the Teclast F6 Pro so effortlessly in tablet mode. 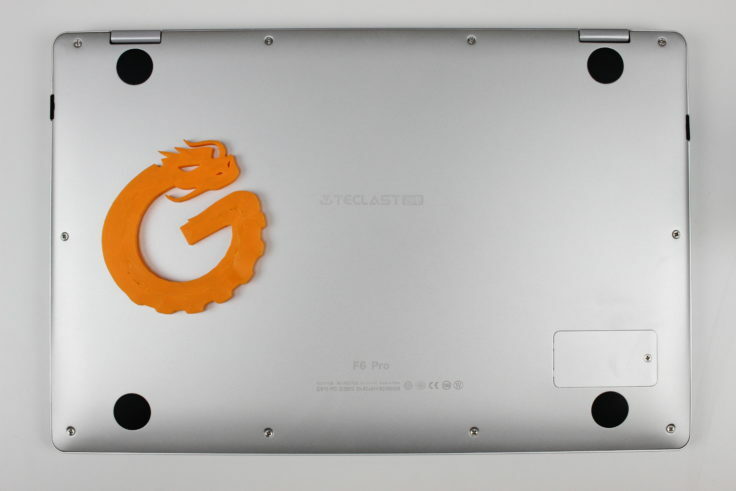 In the area of hardware, Teclast gives away potential due to the insufficient cooling of the hardware. In complex applications, the computer gets a bit hot after a certain time, so that the performance is throttled. In terms of workmanship, we have had good experiences with Teclast so far, and this continues with this convertible laptop. 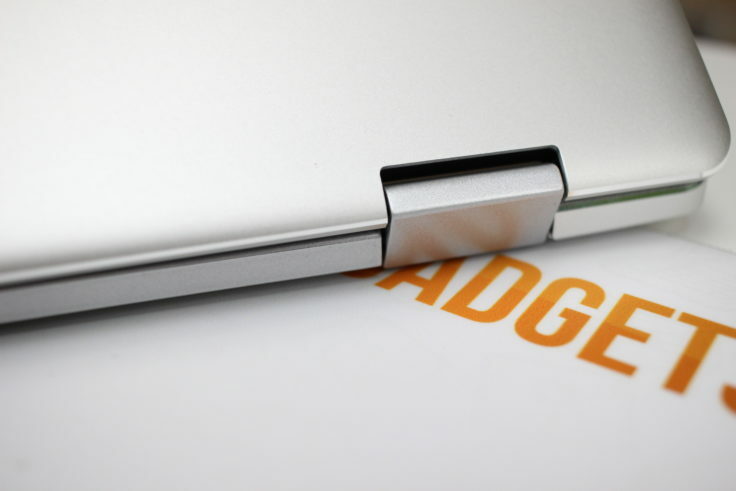 The aluminum case is less sensitive to scratches than other inexpensive notebooks and the cut-outs are cleanly milled.